Flowers are great and all, but there’s something to be said about roses. They signify love, commitment and even matrimony. Unfortunately, now isn’t the time to start planting roses in your garden. That’s why rose crafts are perfect for this chilly time of year – you don’t have to water them or live in fear of a frost. Simply round up supplies like yarn, felt and ribbon and you’re ready to go. DIY flowers are so easy to make and cost significantly less than the real thing. Crochet an entire bouquet of Pink Roses and give them to someone you love – they don’t require water and will never wilt or droop. 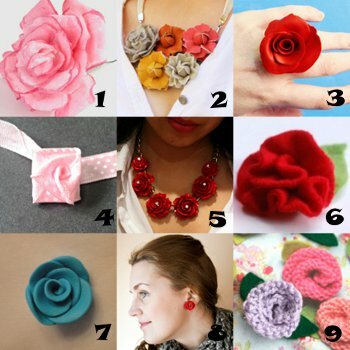 If you don’t have yarn or aren’t interested in crochet, there are plenty of other options for rose crafts. Gather up some plastic spoons and use them to make Plastic Spoon Roses. These can serve as a fantastic embellishments on jewelry, clothes or in your hair. Just be careful when molding the plastic spoons – you’ll need a lighter or candle to get the job done. If you’re short on supplies, grab an old t-shirt and use it to create an Upcycled Vintage Fabric Flower. The old-school look will change the feel of any outfit. Show someone how much you care by creating a bouquet of handmade flowers. You can use yarn, ribbons and even recycled materials to create your own fabulous florals. From jewelry to clothing embellishments, there’s no wrong way to rock a rose. Pick your favorite style and get to work – the creative options are endless! There’s something so magical about fall. The crisp air, crunchy leaves, pretty colors – I just can’t get enough. My favorite aspect of the season is definitely pulling out all of my favorite autumn accessories. 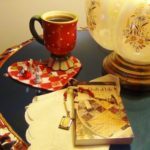 In the past, I always stocked up on traditional scarvess – long pieces of fabric or cute yarn creations that I could quickly wrap around my neck before heading out the door. Last year, however, I purchased my first cowl. Since then, I’ve collected cowls of all shapes and sizes. I love throwing them on with my winter coat – they keep my neck warm and I can tuck my nose in when it’s extra chilly. 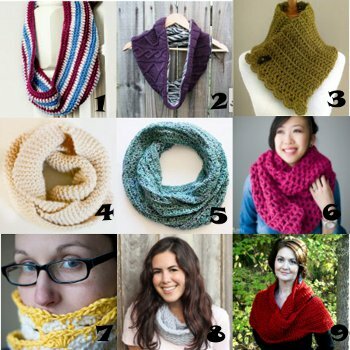 Readers also love cowls, and we’ve seen their popularity grow as years go by. In general, it seems that warm and cozy cowls are always the most sought-after on the site. 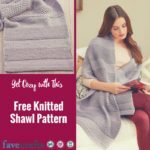 Knit and crochet cowls like the Slouchy Cowl and the Crochet Convertible Cowl are always popular in our e-mail newsletters (are you a subscriber?). These scarves have one thing in common – they are both made using a single yarn color. Neither pattern is complicated, making them both a great option for beginning yarn crafters. If you are hungry for more cowl patterns, the Vanilla Meringue Cowl is a great choice. 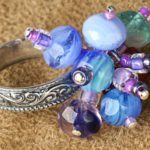 While this is a great craft to make for yourself, it’s also a fantastic gift idea for the holiday season. Winter is around the corner – don’t wait until the first snowfall to get working on a cool cowl. Save your creation for yourself or give it as a gift – you don’t need a ton of supplies or a lifetime of expertise. Now is the time to say goodbye to boring generic scarves and hello to handmade cowls. Chevron is one trend that just won’t go away … and there’s nothing wrong with that! Those little squiggles seem to be popping up everywhere – from clothing designs to decor motifs. 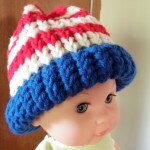 You can also add chevrons to knit and crochet patterns for added texture and dimension. 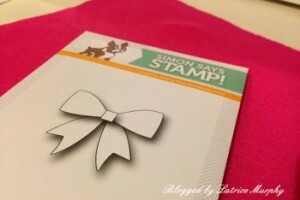 This is a simple design that anyone can replicate on their own, making it a fantastic choice for beginning crafters. 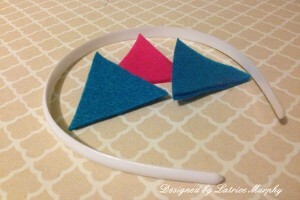 I like chevron because it can be seamlessly added to almost any craft project. I have a ton of bobby pins lying around, so DIY Bobby Pin Earrings seem like the perfect craft. 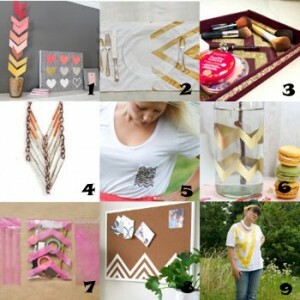 You can add a chevron design using acrylic paint or nail polish – talk about an easy jewelry craft! I also love the look of Neon Chevron Cards. Why spend money on generic greetings when you can make these bright and sunny cards? You won’t believe how easy it is to create the intricate designs featured on each of these cards. 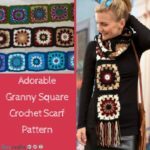 If you’re more comfortable with a crochet hook, never fear – there are plenty of ways to add chevrons to your favorite crochet projects. Start working on a Crochet Chevron Table Setting now so you can use the pieces all winter long. Knitters, don’t think we forgot about you! A Chevron Scarf is a beginner friendly pattern that makes a great gift for the holiday season! Chevrons have never been more popular, so now is the time to get in on the trend! Experiment with colors and sizes – you can’t go wrong with this simple yet striking design. It’s Day Eleven of National Sewing Month! Too see the daily blog posts, projects of the day, and more National Sewing Month details, click here. A key ingredient to making the fall season complete is a great collection of sweatshirts. Autumn is the season for breaking out all your best hoodies to dress yourself perfectly for both the indoor and outdoor temperatures. A good sweatshirt is just what you need for the days you’ll spend raking up piles of leaves (which someone, maybe you, will inevitably jump in) and for reading under a tree on a clear fall day. DIY hoodies are a great way to get ready for the fall season; they’re both budget-friendly and infinitely more stylish than anything you’ll find on a rack at the store. The six patterns below are exactly what you need to get started sewing your own hoodies. Check out these tutorials to learn how to sew hoodies the young men in your life will love to wear. These DIY hoodies are just what you want for the little boys you love and care for. For babies and toddlers, a warm and cozy sweatshirt is perfect for when the autumn season rolls around. Not only are these hoodies comfy to wear, they are also just so darn cute. These little jackets will make everyone’s heads turn as you and your child stroll down the sidewalk; everyone will want to know where you got your child’s adorable animal-themed sweatshirt. Check out the sewing tutorials to learn how to sew hoodies that will put a smile on everyone’s face. Baby Bear Hoodie: The little bear ears on this DIY hoodie will turn your baby into a cuddly bear cub. 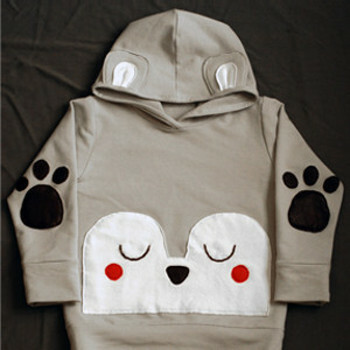 Bear Necessities Hoodie: Refashioning clothes is a budget-friendly alternative to buying new outfits — plus this hoodie is too cute to pass up. Boy Shark Hoodie: This DIY sweatshirt takes a bite out of adorable. Follow the tutorial to learn how to add shark teeth onto a gray hoodie. If you’re looking for hoodies for your boys to wear to school, these are the projects you need. Whether you’re sewing for a toddler or a teenager, there’s a sewing pattern that’s just right for you. These DIY sweatshirts are soft and warm, and they’re perfect for the months of autumn. Learn how to sew sweatshirts any boy would be proud to wear by following along with these simple sewing tutorials. You’ll save money that you might have wasted at the store and you’ll have a blast putting a personal touch on your son’s outerwear. Boy’s Hoodie Tutorial: There’s no need to sort through piles of sweatshirts at the store when you can sew your son a sweatshirt on your own for a fraction of the cost. Toddler Hoodie Tutorial: Your little boy will look like a little man in this classy, gray DIY sweatshirt. 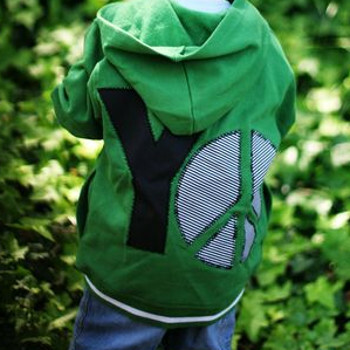 Yo Peace Hoodie: Add a little sass to your son’s wardrobe by sewing him this great sweatshirt featuring a peace sign. Are boys harder to sew for than girls? How can you not smile with you look at polka dots? They seem to give a whimsical look and fun touch to just about anything. You can add character to a vase, sweater or card by simply adding a few little dots – talk about a quick and easy idea! Polka dots can breath new life into an old piece, too. 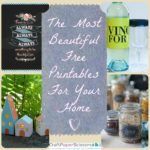 Save yourself a trip to the mall or home decor store and upcycle a piece you already have on hand. If your space is looking a little plain, you can’t go wrong with a home decor craft that incorporates polka dots. 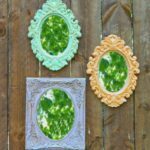 Blue and Green Polka Dot Wall Art is uncomplicated and adorable, making it an ideal project for crafts of all ages. For this project, your can use polka dot fabrics to cover a Styrofoam canvas, but you can also apply paint to acheive a unique look. Another cool home decor project to make is a Polka Dot Tissue Lantern. Start with a plain white lantern and add tissue paper – all you need is Mod Podge! The translucent tissue paper will project dots onto your wall while still providing adequate lighting for any space. 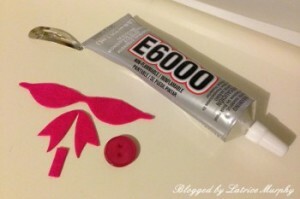 You can also use buttons to create polka dots for a Fabric Button Bracelet. An empty cardboard roll serves as the base of this project, making it ideal for eco-friendly crafters or anyone on a budget. 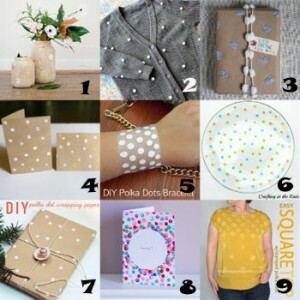 Don’t be afraid to add polka dots to your next craft project, whether it’s a plate, bracelet or t-shirt. You’ll love the look and will want to show off your creativity and handiwork to anyone who crosses your path. Once upon a time, cat lovers were characterized as “crazy cat ladies”. Well, those days are over, because it’s never been a better time to be a cat lover. Cats have broken into the mainstream – even Taylor Swift has an adorable kitty named Meredith. Here at FaveCrafts, we celebrate our kitties (and other pets) by creating unique and adorable pet crafts. Those of us who don’t have a furry companion can create animal-inspired projects to wear or display. Personally, I’m partial to dainty flats with adorable cat faces drawn on – does it get any cuter? 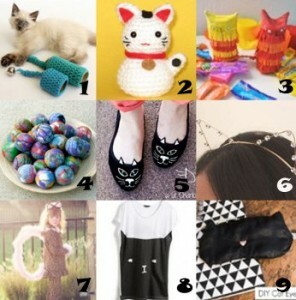 Get inspired and celebrate your favorite feline with a few simple DIY designs. If you have a cat, you create a variety of practical crafts that can be used every single day. Save up old socks and create a Sock Bed for Kitty. 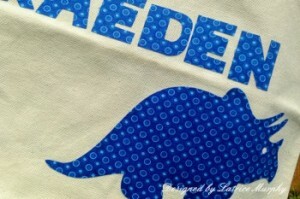 You’ll hear plenty of purring (and maybe some snoring) when your pet spots your design. Even if you don’t have a cat, you can create fun cat-inspired crafts. A Blue Crochet Kitty makes a great gift for a little one – create one before a birthday or baby shower. 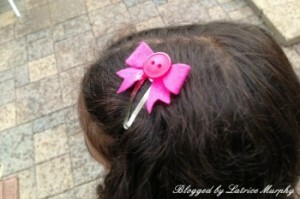 You can also add a fun touch to your wardrobe by creating whimsical Kitty Clip-On Barrettes. They’re almost as adorable as a newborn kitten… almost. You won’t believe how easy it is to craft for your pet. 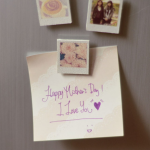 Alternately, you can make cat-inspired crafts and show off your loved for felines. While you’re at it, why not do both? One thing’s for sure – you can’t go wrong when you make cat crafts. Check out our friends over at Stitch&Unwind! 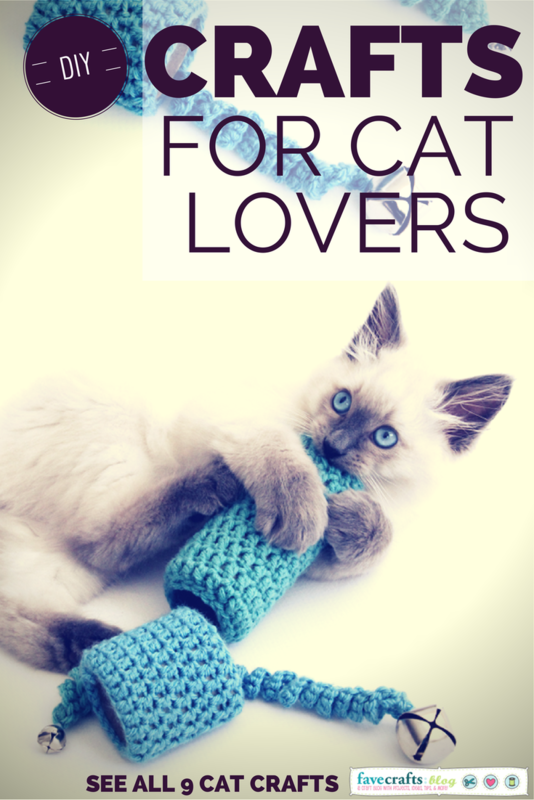 They have some crazy fun knitting and crochet patterns inspired by cats. Do you like to make things for your cats or for yourself? Like that old song says, I enjoy being a girl. I’ve definitely had my tomboy moments, but as I’ve gotten older, I’ve found myself drawn to pretty accents like polka dots and bows. I’ve even been known to stick a bow in my hair – I’m sure my mom would sigh loudly after many years of forcing me to stick one on my ponytail. Though my personal style has grown and changed over the years, my love of girly hair accessories has always remained the same. 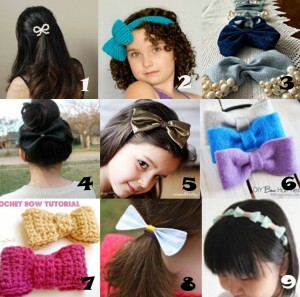 Luckily, there isn’t one kind of hair bow to wear or, more importantly, make. 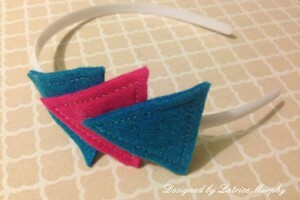 You can crochet, knit, sew or simply glue a bow and wear it for a fun and unexpected look. Crochet Hair Bows are surprisingly easy to make – in fact, they’re a great beginner project. You can make one in an hour, so they’re perfect for crafting in front of the television (or poolside). Be sure to use different yarn colors so you can match your bow to your outfit. 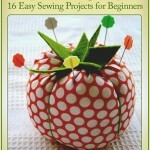 If you aren’t adept with a hook and yarn, grab a glue gun and ribbon. Back to School Hair Bows look great in a little girls’ hair and will help her get excited for the first day of class. 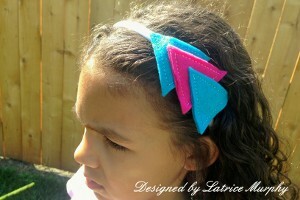 Older girls will love the look of an oversized No Sew Hair Bow. The exaggerated look is straight out of the eighties! For this project, you can recycle an old, ill-fitting t-shirt to save on fabric. Whether you’re young, old or somewhere in the middle, you can’t go wrong when you throw a DIY bow in your hair before you head out the door. This is a fun way to show off your personal style and make a statement. This project is brought to you by Latrice Murphy for Any Occasion. 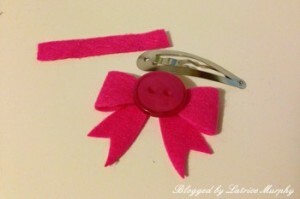 Today I’m making something any little girl would love – mini felt bow hair clips! First off, you want to start off with your felt and die. 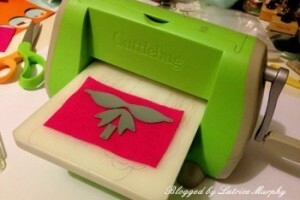 You’ll need to trim your felt down to fit in whatever machine your cutting on. No need to do that if you’re using a template and hand cutting. Run it through using the correct plate sandwich for thin dies. Next up gather your other materials and get ready to assemble. Using the tiniest drops of glue, fold your bow into its shape. Tacking it in the center and then adding the tail and wrapping the center. Lastly add your button to the center and add the bow to your clip. I always sandwich the clip with a small rectangle piece of felt to hold it tight. This project is brought to you by Latrice Murphy from Any Occasion. It’s summer break here and I’ve got all kinds of activities planned out for my kids. One thing we do every week (sometime twice) is to go to the library. This keeps them busy and they can get in some reading time. We do the summer reading program and they even get prizes from the library. Fun, right? Since they’re older and they get more books now, I decided to created them individual library bags. It was much easier than I thought it would be. Following the fabric cutting instructions on the Silhouette and fabric interfacing, you want to iron your fabric to the interfacing for about 2 seconds. Next trim your fabric to match after that. 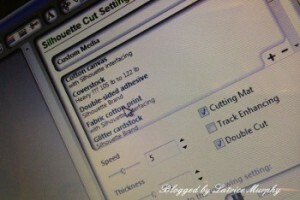 Choose your settings and remove the white paper backing before feeding the fabric into the die cutting machine. You will use your mat for this as well. 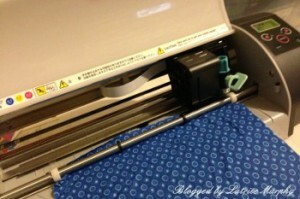 Using the correct settings (I also use the double cut) cut your design and remove it from the machine. Now you just have to iron it on to your bag for about 10 seconds. I kept both my image choice and name font simple. Nice chunky letters looked best, I thought. You can get lots more creative with this as well. Here are a couple photos of the finished bags for two of my kids. Boy just love dinosaurs… at least mine do! 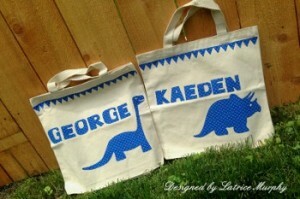 Your kids will love these personalized bags. 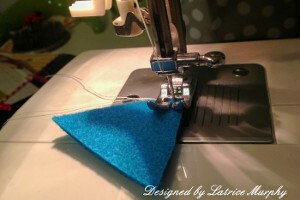 You can also get sew-able fabric interfacing and add some stitching for an even more finished look and more stability.